Trends in landscaping products, which not only relate to changing preferences for different styles and materials but the creation of innovative solutions, is the basis of an exciting industry sector. Richard Oates, Landscaping Category Manager at Travis Perkins, discusses the emerging trends and top innovations. Each year, suppliers of landscaping materials need to anticipate consumer demands and go to market with exciting new products. These innovations not only meet the demands of end-users who are once again looking to invest in their homes and are no longer afraid to spend a bit more to achieve better results, but contractors who want a simple installation and ultimately a satisfied customer.Despite flooding in the winter months, the demand for water still outweighs resource, leading to shortages in the summer and increased bills for homeowners. With the impact on pockets being felt now and the continued drive by the utilities industry to reduce reliance on mains water, there is value in landscapers having the relevant information on rain storage solutions to hand. 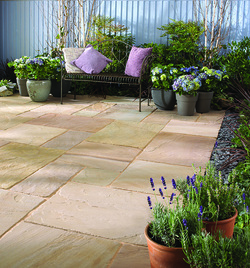 Handmade paving products, especially Indian sandstone, are seeing a marked increase in demand as home-owners recognise that a slightly higher price equals greater return in terms of quality, resulting in a far superior finish which will last for years to come. Not only is stone a natural choice because it’s aesthetically pleasing but compared to inferior alternatives which are overly porous, they are less likely to go green or delaminate and split. There is also an environmental and ethical aspect to this product which is undoubtedly appealing to a segment of the market. Ethically sourced from India, the sandstone is extracted, split, finished, and packed by hand. This also ensures the stone quality, which comes from highly regulated factories, bespoke packaging, and secure modes of transport, all contribute to the most ethical, environmentally friendly and value adding landscape product. In addition, there are benefits to the landscaper or contractor. The improved product quality means the slabs are flatter and have a consistent thickness, making them much easier to install. This can reduce time on site and even recoup some of the cost of choosing a more expensive material. 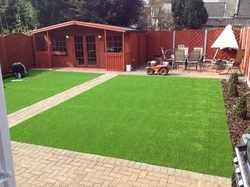 Artificial grass is rapidly growing in popularity, possibly due to an increase in choice and improvements in the realistic nature of the product. No longer a specialist item, artificial lawns provide a stress-free option for grass that is green and lush 365 days a year. There are clear benefits which are obviously now driving demand. As a durable surface, the owner can expect it to remain unworn even in areas of heavy usage without ever getting muddy, making it incredibly child friendly. Maintenance is minimal with no need to replace dead patches, or even to weed or mow the lawn. This can bring added benefits to those working with small spaces or rental properties. 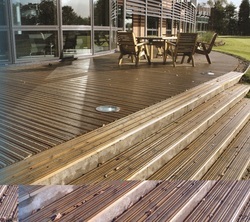 Solid timber decking with added grip has become a recognisable staple of most UK homes. However, it still faces a few issues such as requiring ongoing maintenance, being slippery when wet, and becoming unstable if installed incorrectly. Modern ranges are now available in plastic and wood composites, which mean they are maintenance-free, even without the need for initial staining. This can be ideal for homeowners who want to maintain a garden with as little effort as possible. Many of these products also offer aluminium rails to replace timber joists, which assist with maintaining a secure structure. By adding rubber pads, the system can also avoid issues associated with standing water, such as rotted joints. If the end-user still prefers the look of timber, there are now ranges in contemporary designs which feature a ‘brushwood finish’. This provides a smooth appearance, but incorporates a grain that prevents moss and mould growth to provide an anti-slip surface. The material also has an untreated look so can be stained any colour the homeowner wants, even a modern whitewash. Outdoor play solutions are now presenting some interesting solutions. 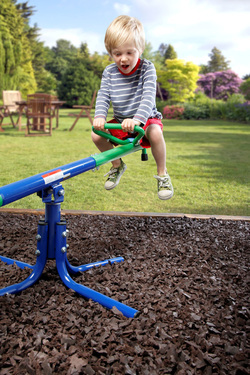 The time and care taken to maintain a safe and hygienic play area at a constant depth can have serious implications for overall maintenance costs, especially when using the most common solution of wood chippings. This had led many contractors and landscapers to consider rubber alternatives. Traditionally, rubber solutions were seen as a more expensive choice, but we are now seeing a number of different options at various price ranges. The latest product development is rubber chippings. They are available in a range of bright colours, made from recycled materials, and have superior slip resistance and shock absorption, making the surface the ideal solution to help minimise injury. The landscaping market reacts to trends at a fast pace with the result being the continual launch of exciting products which meet consumer demand. Backed by the support of a merchant, contractors and landscapers can be confident of providing high-quality results not only through product innovation but through excellent availability at branch, and reliable delivery direct to site. Travis Perkins offers a range of landscaping solutions including the products mentioned in this article. 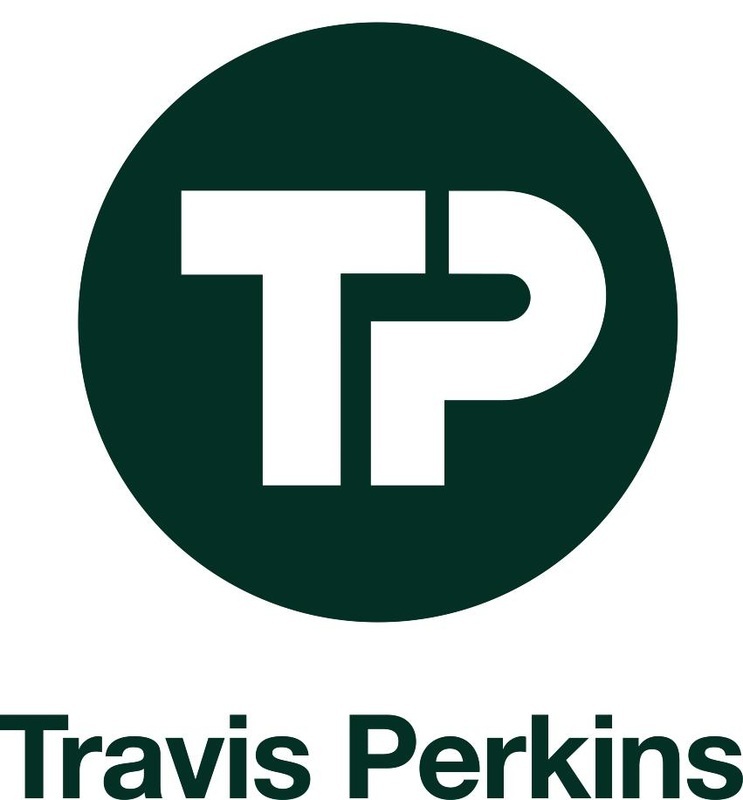 For more information log on to www.travisperkins.co.uk.